Be part of a world-class event and a new Saskatchewan tradition. 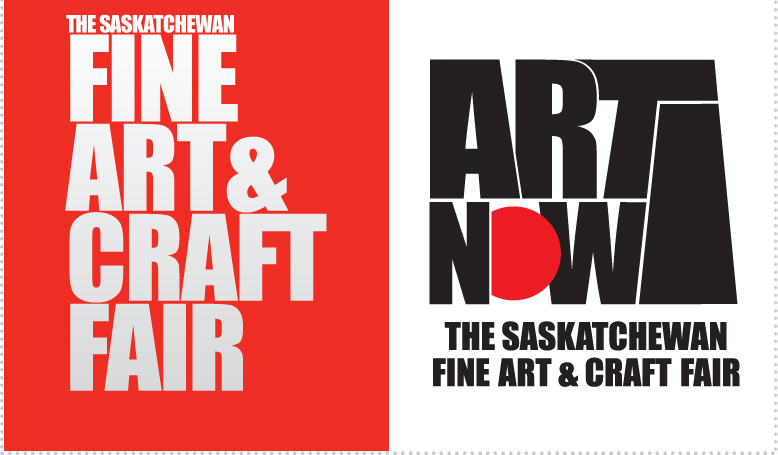 SaskGalleries presents the second annual Art Now, the Saskatchewan Fine Art Fair, featuring premiere commercial art galleries throughout Saskatchewan, and beyond. Come and wander thousands of square feet of original fine art from 9 commercial galleries, all in one location. Art lovers of all ages are welcome. Food and beverage service will be available throughout the show. Thursday, September 14 - 7:00 p.m. - 10:00 p.m. Opening Night Preview Reception. Tickets available here. Special Happy Hour from 4:30 p.m. until 6:30 p.m. featuring music and drink specials. Art Now is excited to present our gallery exhibitors for 2017. Enjoy live music, beverages, and appetizers as your view hundreds of original art works. There will also be $3,000 worth of door prizes, including gift certificates to the show, for art supplies, and a Joe Fafard bronze cow valued at $900, generously donated by Slate Fine Art Gallery. Tickets are $40 each, $20 each for artists, and are available here. Proceeds from 2017 reception ticket sales will benefit the Saskatchewan Arts Board to add to their permanent collection. On Canada's 150th anniversary of Confederation, governments, organizations, and individuals across the country have marked the occasion in a variety of ways. For some it is a celebration, but for others it is a reminder of a colonial past and its ongoing legacy. Official monuments memorialize and legitimize official narratives, neglecting - and at their worst, denying - the multitude of perspectives that truly define any historical moment. Just in Case was started by Harold Empey, a retired executive. Harold created a presentation and manual that outlines many questions to consider just in case something happens. In the case of artists, the list becomes more complex. Are you preparing your legacy? If you don’t, someone else will have to make these decisions for you. Join us for a discussion of the shifting relationships between artists, galleries, and new technologies. Thomas Archer from SaskInteractive will highlight the latest developments in technology that are poised to disrupt the way we make and experience art, as well as market and buy it. Artists should be paid for their work. Period. If you’re a supporter of the arts in Saskatchewan, you probably agree. CARFAC and RAAV have been working for many years to introduce legislation for an Artist’s Resale Right (droit de suite), a royalty paid when an art work is resold through a commercial gallery, auction house, agent, or dealer. Session participants discuss the pros and cons, and the impact of an artist’s resale right on artists, collectors, galleries, auction houses, and the art market in general. Collecting art is more than just filling spaces on walls. Collectors are as varied and unique as the works of art that they collect. Some do it for love, and others for money. Some collect with an eye towards posterity, while others make compulsive choices. Whether you’re a first-time buyer or a person who speaks confidently about your “collection”, this discussion is sure to offer something of interest. It offers practical advice and stories of the ones that got away to discussions about individual collecting practices and sneak peeks into some of the province’s most noteworthy private collections. Saskatchewan people have always been known for their entrepreneurial and inventive spirit, and Saskatchewan artists are no different. Nik Semenoff, Honorary Professor Emeritus at the University of Saskatchewan, is the inventor of Waterless Lithography, a non-toxic easy to use printmaking technology that achieves the look of traditional stone lithography without compromising health and safety. Chaired by Saskatchewan artist and printmaker Paul Constable, in this session, Semenoff shares the story of how and why he developed this unique and revolutionary process. Following the talk, Semenoff will demonstrate some of his innovative techniques. Art Now thanks our many supporters and sponsors in 2017. If your company wants to be connected with our audience, please call us at 306-775-332. Download the sponsorship booklet and benefits information here, or contact us for more information. Would you like to get involved in a great new Saskatchewan arts event? We are looking for volunteers for Art Now 2017. If you are interested, please contact us for more information.